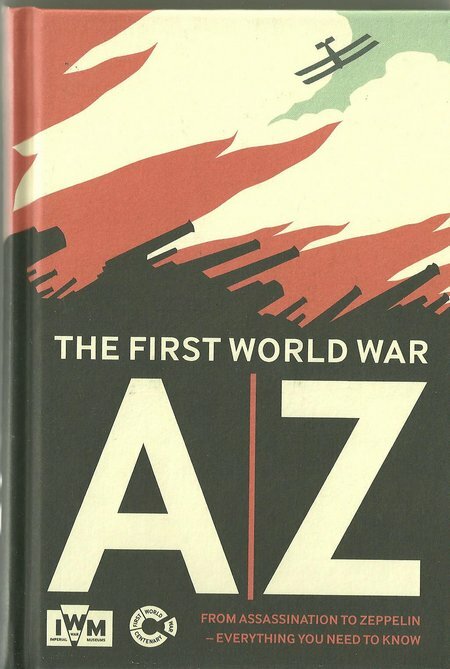 This is an excellent pocket book and primer for the First World War. IWM is a unique military museum inspired by a desire to commemorate and explain the War-to-end-all-Wars, as WWI was then regarded, and the part played by the nations of the British Empire. It is therefore most fitting that this valuable pocket book has received contributions from many of the staff of the museum, to provide a first class overview through the synopses they have written. It follows the path of pocket books that can be used as an introduction for the young, or as a rapid reference by the enthusiast who may have a great deal of knowledge of the general subject. DESCRIPTION: This is an excellent pocket book and primer for the First World War. IWM is a unique military museum inspired by a desire to commemorate and explain the War-to-end-all-Wars, as WWI was then regarded, and the part played by the nations of the British Empire. It is therefore most fitting that this valuable pocket book has received contributions from many of the staff of the museum, to provide a first class overview through the synopses they have written. It follows the path of pocket books that can be used as an introduction for the young, or as a rapid reference by the enthusiast who may have a great deal of knowledge of the general subject. The nature of the book makes it very difficult to provide a truly comprehensive record of a major war, the people who fought in it, the nations drawn into the battle, and the equipment developed and deployed. It also makes it very difficult to produce a standard form of illustration because of the diversity of alphabetic items covered. The editor has dispensed with illustration and that provides a text-only book with consistency. As the purpose of this type of book is to provide a fast reference of items that collectively provide a balance overview of a major global conflict, this lack of illustration is not a deficiency. Each item covered by the book has received an adequate amount of text. The style is concise and the total amount of information is impressive and would be even for a physically larger book. With the vast amount of material being published for the centenary of WWI, this book fills a vital need. Enthusiasts who have specialized in a few aspects of the Great War will be drawn to expand their knowledge and one benefit of this pocket book is that it can be easily carried and used to check up on the many aspects of the war. As the contributors are each well versed in specific aspects of the Great War, there is a high level of understanding and accuracy. There is also enthusiasm for the subjects covered. Perhaps the greatest value of this book is that it is an affordable overview for the young and those who have just decided to be better informed of one of the great moments in history. This covers a great many people, because a centenary is a time when grandchildren and great grandchildren want to find out more about members of their family who are no longer there to give their own account.